Happy New Year! It’s that time again, when we reflect back on the past year and appreciate all the wonderful opportunities we’ve been blessed with. Time has always fascinated me. Maybe being a drummer has something to do with that. I’m always amazed by how fast it tick-tocks on. He freely breaks every rule but one: To thine own self be true. MD checks in with the former drummer with the Faceless, Threat Signal, and the HAARP Machine on the occasion of his current band’s highly anticipated sophomore album, which is due out on February 9. MD spoke with the former Hole and current Upset drummer just before the release of her new memoir, Hit So Hard, which recounts her early life, her rise through the Seattle music scene of the ’80s and ’90s, and her struggles with addiction. Carvin is not a musician whose feel and phrasing can be reduced to any single style. Rather, he’s shaped a distinct sound from the diverse musical and geographic surroundings he’s encountered over his six-plus decades as a professional drummer. We are excited to present the Modern Drummer 2018 Readers Poll winners! When national artists record in Nashville, they call on world-renowned studio greats like Paul Leim, Eddie Bayers, Lonnie Wilson, Greg Morrow, and Chad Cromwell to put down the ultimate version of a track. But when those artists need a sub to bring their music to life on stage as excitingly and accurately as fans are used to, the players they call are from an often under-recognized but by no means less valued short list—which this drummer is at the top of. As music journalists, we try to avoid using superlatives, like, say, “the greatest living blues drummer.” At the same time, it’s inarguable that for those who’ve been in a room where the Austin drumming icon George Rains is playing, the notion is tough to ignore. Rains’ credentials in the world of blues are impeccable. In addition to backing Jimmie Vaughan since 1993, he was the house drummer at Antone’s blues club for a decade, and has played behind just about every blues artist you can think of from the early ’80s onward. 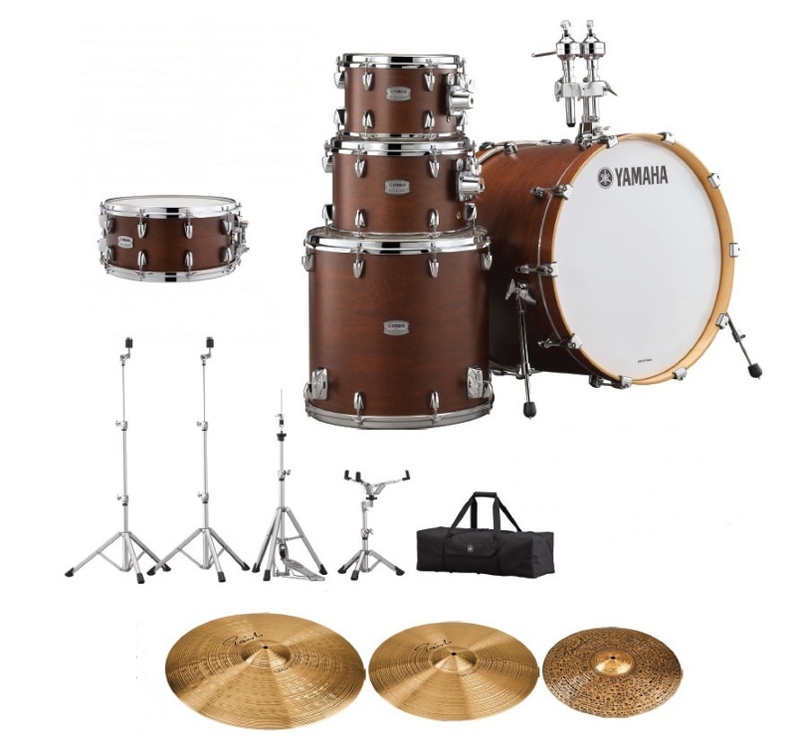 New and Notable - New Drum Gear from Simmons, Zildjian, Roland, Sound Percussion Labs, Tama and Sabian! Drum Fills: Keep It Simple, or Shred?